Don’t laugh. Gramps gets scammed more often that you think, according to a new report from the Federal Trade Commission’s (FTC) Consumer Sentinel Network. And scammed to the tune of $9,000, on average, too! The FTC took a deep dive into the Sentinel’s data and found that 25 percent of those aged 70+ report mailing huge amounts of cash to people masquerading as their grandchildren. In about half of the instances, these “friend and family imposter scams” start with a phone call from a “grandchild” with the frightful tale of being in jail or other legal trouble. Another third of these scams involve being in a car wreck thanks to texting- or drinking-while-driving. 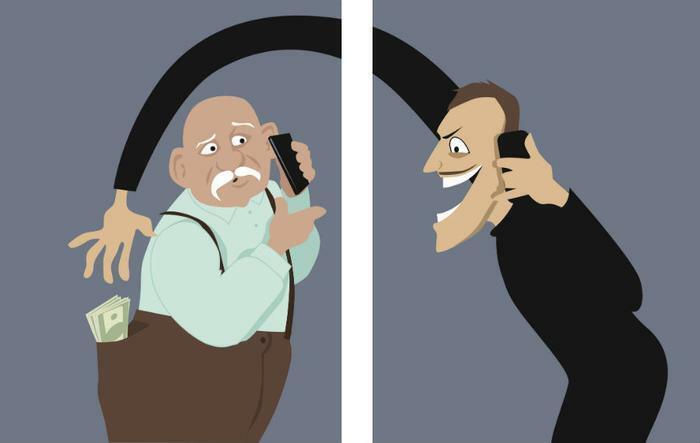 In both situations, the scammer plays the strings of grandma or grandpa’s heart by telling them they’re the only person they can trust enough to help bail the kid out. And a statement like “Please, grandma, don’t tell anyone about this,” helps seal the deal. “These scammers are experts at impersonating people they’ve never even met. Car accident injuries, often broken noses, or uncontrolled sobbing explain away a voice that might not sound quite right,” wrote the FTC’s Emma Fletcher. The FTC found that the scammers routinely have a detailed to-do list on how to send cash. Many victims said they were instructed to put the dollar bills into envelopes and hide them inside a magazine. Then, to add immediacy, they were told to send the loot via UPS, FedEx, or the U.S. Postal Service. The FTC reports that while grandparents are the most frequently scammed demographic, the compound loss runs across all generations. And the pirated bounties are also skyrocketing, increasing from $26 million to $41 million in the last year alone. While this may seem like one of those things that will never happen to you, it does happen. Fraud is up double-digits in almost every category and, despite how smart we think we are, there’s bad actors trying to craft a new con every day. If someone in your family has been hit by this send-me-cash scam, report it ASAP to the Postal Service or whichever shipping company that was used. With a tracking number, some people have been able to stop the fulfillment of this scam by acting quickly and stopping the delivery dead in its tracks. Lastly, ConsumerAffairs suggests you pass along the video featured above or the FTC’s publication about this scam. If you’re ever targeted by this scam, tell the FTC at FTC.gov/complaint. The agency may be able to help. Consumers can learn more about this and other imposter scams -- such as the tech support or IRS imposter scams -- at FTC.gov/imposters.